The penultimate King of Bavaria was born Otto Wilhelm Luitpold Adalbert Waldemar von Wittelsbach in Munich on April 27, 1848 to King Maximilian II and Queen Marie of Prussia, their second son. At his baptism, King Otto I of Greece (his uncle) stood as his godfather. It was a tumultuous time for Bavaria, a year of revolutions across Europe and only one month before Maximilian II succeeded to the Bavarian throne, first going along with the liberal nationalists but then, upon seeing the direction they wished to take, reverting back to being a staunch ally of the Austrian Empire. During these years, Prince Otto and his elder brother, Crown Prince Ludwig, spent most of their time living with their private tutors, though for about 10 years after 1853 they were able to enjoy summers with their family all together at Berchtesgaden. 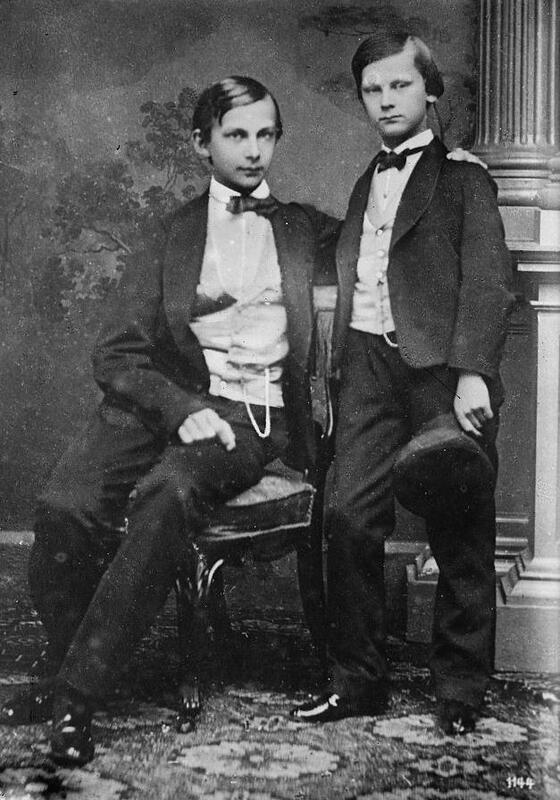 His brother had only just turned 18 when Maximilian II died and the Crown Prince became King Ludwig II in 1864. Just the year before Prince Otto began his service in the Bavarian army and the same year his brother came to the throne became a commissioned officer, in keeping with family tradition. However, he had been born two month premature and there were some concerns about his health. These concerns increased somewhat the following year when some began to notice that Prince Otto was behaving rather oddly. However, none of it seemed too serious and in 1866 he was promoted to captain and began active service with the Royal Bavarian Infantry Guards as well as being admitted to the Order of St George. In 1866 he served in the Austro-Prussian War, on the side of Austria, but the defeat forced Bavaria into an alliance with Prussia and so, by then promoted to colonel, Prince Otto served alongside the Prussians during the 1870 war with France. When the King of Prussia was proclaimed German Kaiser by the assembled German princes at the Hall of Mirrors in Versailles it was Prince Otto, along with his uncle, who represented the Kingdom of Bavaria. The second German Empire was born but Prince Otto, nor his brother, were extremely enthusiastic about it and the Prince found the Prussians just a bit too proud and triumphalistic. There were obviously some mixed feelings about this turn of events in Bavaria, a still largely rural Catholic monarchy more closely connected to Austria than the more urban-dominated and Protestant Kingdom of Prussia. However, Prince Otto would soon become of interest to the Prussians, specifically Chancellor Bismarck, not because of his political views but the state of his mental health. Soon after the war Prince Otto began displaying even more behavior that was considered strange (though not to me). He became very reclusive and suspicious about other people, especially strangers and did not like the public staring at him. He stopped shaving and seemed to have trouble remembering things (again, none of which seems odd to me) and concerns eventually reached all the way to Berlin. It probably did not help that his older brother was also coming to be considered as suffering from depression and other vague psychiatric disorders (they usually are). In 1872 he was officially diagnosed as being mentally ill, specialists were called in and the following year a noted expert in the field confirmed the diagnosis. Given that, I have to say here again that an “expert” in the field of psychiatry is a little misleading given how little, even today, medical science actually understands about the workings of the human mind. The royal handlers tried to keep Prince Otto out of public view but there were still incidents that caused shock, such as when he rushed into a church in his hunting clothes and asked the bishop to forgive his sins. Okay, maybe the timing could have been better but, isn’t that what a bishop is supposed to do for a penitent sinner? Still doesn’t seem that crazy to me. Prince Otto was kept under constant supervision for the most part after that and stayed at palaces in the country outside of Munich, far away from public view. King Ludwig II would visit him occasionally and gave strict instructions that he not be mistreated or manhandled. After 1883 he was kept at a specially converted palace (Fuerstenried) outside Munich for the rest of his life. Much of this remained a mystery to the general public but matters came to a head in 1886 when King Ludwig II was declared mentally unfit and Prince Luitpold was appointed regent to handle all royal duties. 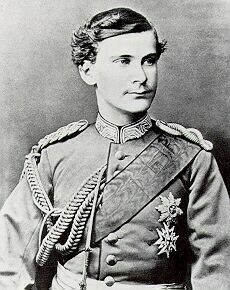 However, shortly thereafter Ludwig II died under mysterious circumstances and so, legally anyway, Prince Otto became King of Bavaria on June 13, 1886. No one was about to entrust him with the powers of this office though and so Prince Luitpold continued as regent with the explanation that King Otto was suffering from acute melancholy. So, Prince Luitpold went on being essentially the King of Bavaria in all but name while King Otto remained in his country estate, dressing in black, chain-smoking, ignoring people and other such “crazy” things. Of course, I am the last person who would ever try to make light of the mentally ill but it is simply that so many of the things cited as evidence of his unbalanced mental state are so ridiculous and I am well aware that a great many things psychiatric experts point to as “insane” behavior are often things plenty of people do who are never considered insane. Once a person has been painted with the brush of madness, nearly every little even slightly odd thing they may do seems “crazy” to outside observers while if someone else were to do the exact same thing that person would simply be shrugged off as a little eccentric. For example, King Otto insisted that all doors at his palace be kept open at all times and would fly into a rage if he found one closed. I know people who may not start shouting and banging on every closed door they find but who obsessively insist on keeping all their doors open. These people have never been diagnosed with any mental illness while yours truly (who medical science says there is a great deal wrong with) am a bit compulsive about keeping all doors shut. What does it prove? This situation remained constant for most of the rest of the life of King Otto. Prince Luitpold served as regent until 1912 when he died and was succeeded by his son Prince Ludwig (his second son, Prince Leopold, would go on to be commander of all German forces on the Eastern Front in World War I). Some wanted Prince Ludwig to give up all pretenses and become King of Bavaria himself at once, however, that would have amounted to a coup against King Otto and the illegality of it would have caused problems. Therefore he had to wait until 1913 when the Bavarian parliament next came into session and they then amended the constitution to allow for a regent to take the crown if the monarch was incapacitated for ten years with no hope for recovery. On November 5, 1913 King Otto was, therefore, legally deposed and replaced by then King Ludwig III of Bavaria. However, due to his condition and the amount of public sympathy for him, King Otto did not lose his title or royal status but continued to live and be treated as he always had and so, for a few years, Bavaria was a kingdom with two kings. 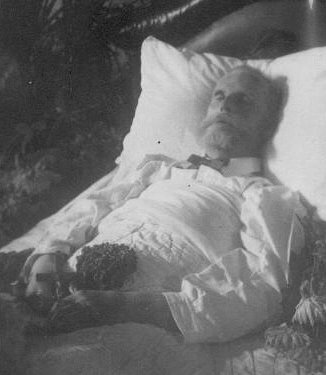 King Otto died, to the surprise of everyone, from a bowel obstruction on October 11, 1916. As Germany was then in the middle of a world war, it was not quite the momentous event the death of a king usually is. He was buried in St Michael’s Church in Munich, a monarch who spent his entire reign as King in name only and who few people knew or had ever even seen. 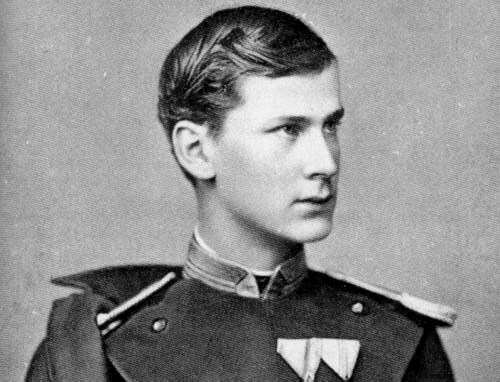 His is a rather sad case and though there are suspicions regarding the removal of his brother, the case of King Otto can be seen as an example to refute those willfully ignorant republicans who seem to think that a monarchy means total power is handed to the next person in line even if they are a raving lunatic. King Otto was certainly not that but he was, according to the experts of his time, not of sound mind and judgment. Therefore, with no fuss or uproar, had his legal powers taken up by a regent until he was finally replaced to live out the rest of his life under the care of his doctors and attendants. A fascinating Prince, no doubt. Thank you for this post! Thank you so much for your undeterred devotion to protect the fragile Earth Monarch Butterflies. As a passionate soul for the Vibrant Ancient Africa, Freed New Lands, Liberated Blue Europa, and Ragged Unequal Asia, I thank you for your service to all the Recorded Human Story nuts like me. I am currently working on a Modern Fairy Tale for the European Royal Characters that once roamed Europa in abundance. Since all characters were related and you are clearly the most expert person on the royal blood history, please assist me to locate or create a updated Consolidated Family Tree for all European monarchs- including the Russians too. Thank you so much! No words can completely capture my gratitude. Otto's mother Queen Marie and his brother Ludwig II witness in their letters that his disorder was genuine and serious. Ludwig in particular would never have allowed his heir to be shut up except out of sheer necessity.